A collection of "fast art" by Scott Morse, who has provided designs, color, storyboards, and art direction for studios including Universal, Hanna-Barbera, Cartoon Network, Disney, Nickelodeon, and Pixar. The book is divided into four sections: Ink (on-the-spot sketches using a Kaimei brush pen); Watercolor (more on-the-spot sketches with minimal ink lines finished in color); Cel Vinyl (opaque paintings of imaginative imagery, creatures, designs); and a second Ink (more on-the-spot sketches of people and places). Award-winning storyteller Scott Morse's Scrap Mettle is the culmination of every spare moment spent away from the creation of his graphic novels and his duties at Pixar. This book is the reservoir of the products of a mind that won't empty of its ideas. 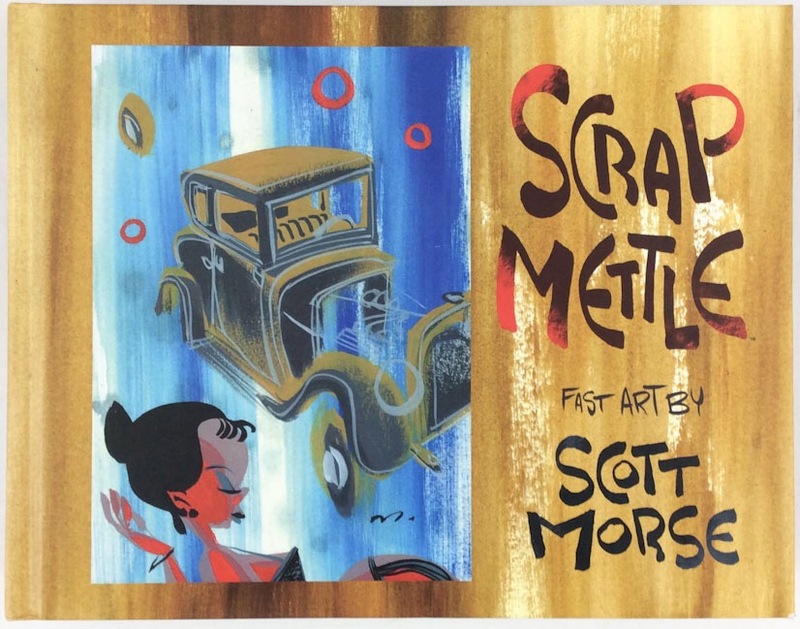 Scrap Mettle - a gargantuan volume of both electrifying images and smaller, personal thoughts - is a must-have for any admirer of sketching and painting and a sure favorite of any follower of the retro pop art scene.